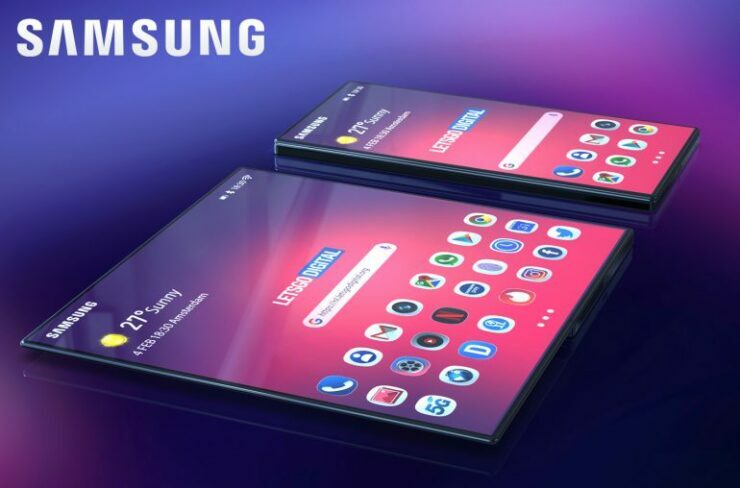 In about two weeks from now, we can expect to get our first glimpse of the much anticipated folding Samsung phone that the company may or may not call the Galaxy F. Granted, the device was teased by the South Korean behemoth during its developer conference back in November 2018, but it was a prototype unit shrouded in a thick casing that made it difficult to assess its design. More recently, a leaked promotional video teased the phone but it didn’t really provide a good look at the device. 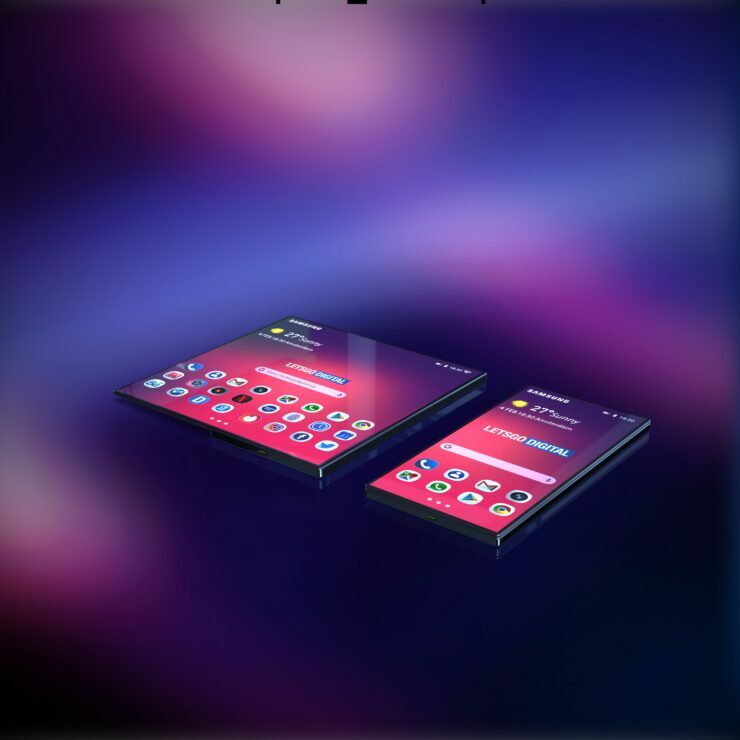 The Dutch blog LetsGoDigital has now come up with some gorgeous renders of the phone and before you are blown away by them, please keep in mind that the Galaxy F would most likely not look like the renders. 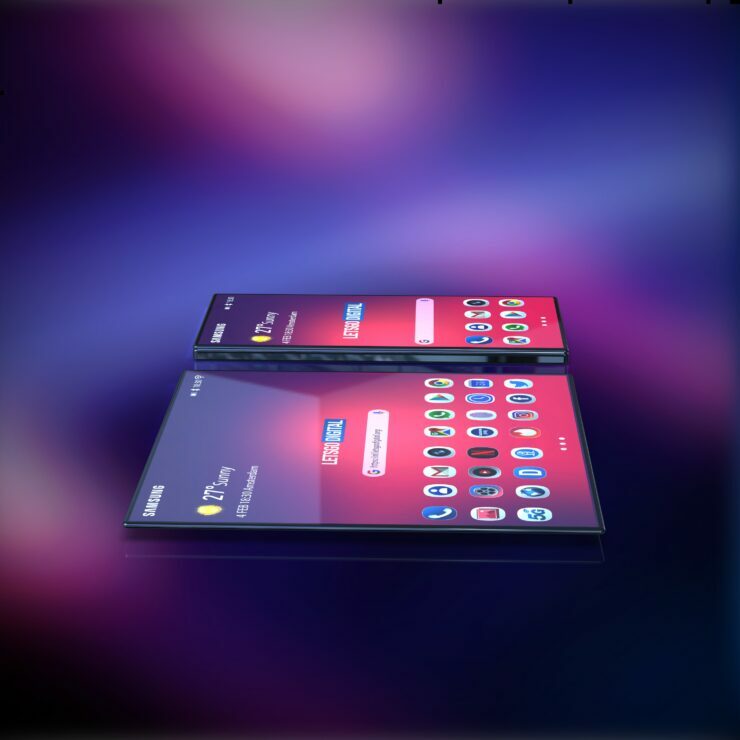 The renders are based on the leaked video and envision a perfect foldable phone. 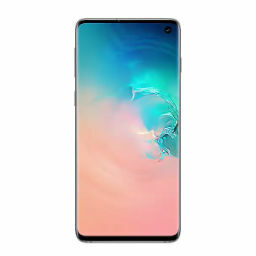 The device shown in the pictures is nearly bezel-less and there is no camera hole on either side of the phone, indicating the presence of an in-display camera. The renders also seem to suggest that the phone would be a little chunky. 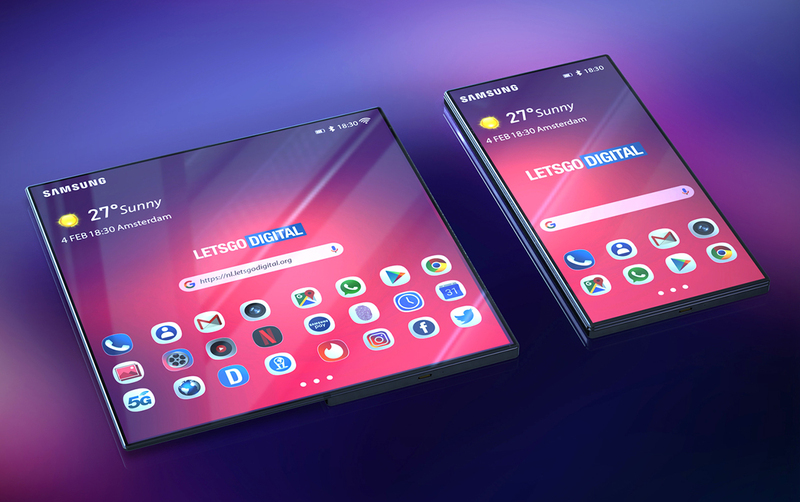 If the final Galaxy F ends up looking anything like the one shown in the renders, consumers with deep pockets would most likely buy it in a heartbeat but since it’s almost confirmed that Samsung hasn’t mastered the under-display camera yet, the most we can hope for is that the next generation of Samsung’s foldable phone takes inspiration from these renders. 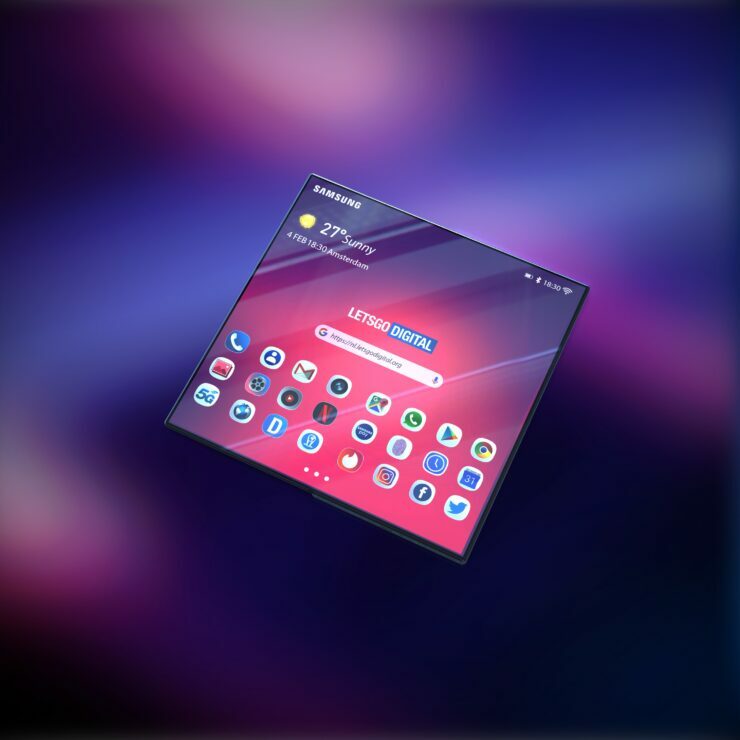 According to various reports so far, the Galaxy F will have 7.3-inch Infinity F display when unfolded and a secondary 4.6-inch screen on the outside. The new form factor would apparently allow customers to get more out of their phones and make the best use of the 5G networks for streaming music and video seamlessly. We can expect to find more about the device during the Unpacked event that will take place on February 20. 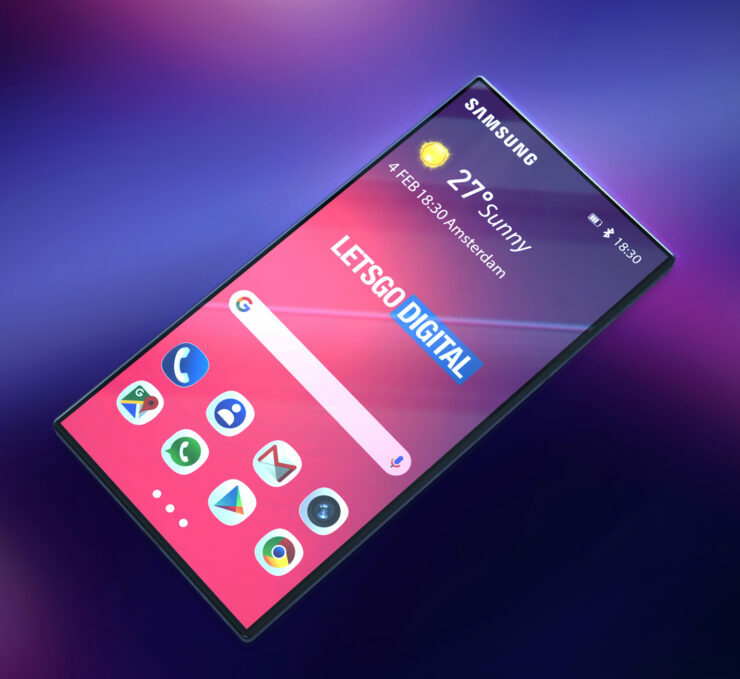 Apart from the Samsung Galaxy S10 series and Galaxy F, Samsung is also expected to talk more about the innovations it teased with the teaser video.